Did you know? 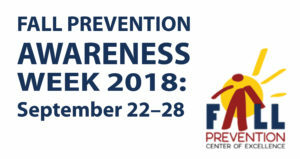 Falls among older adults are preventable, yet they remain the leading cause of injury deaths and hospital admissions for trauma (Fall Prevention Center of Excellence). 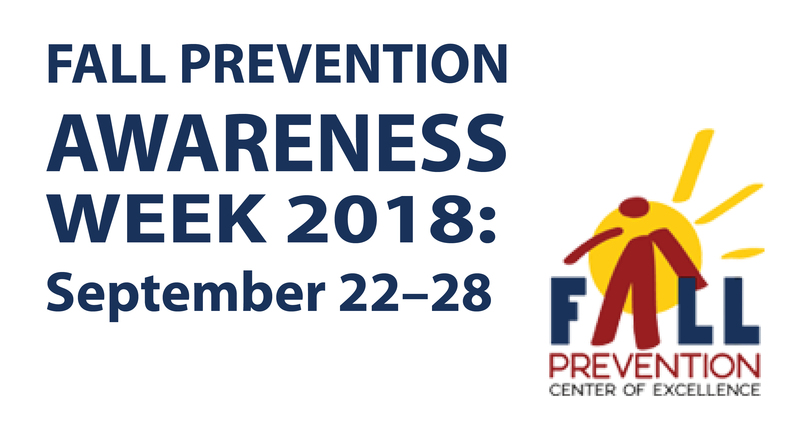 September 22-28, 2018 is recognized as Fall Prevention Awareness Week, a time dedicated to spreading the message that falls are preventable, as well as actionable steps to take in order to avoid them. Place handouts, fact sheets and other resources regarding home safety and assistive devices in lobbies and waiting areas. Host discussion groups on maximizing safety and preventing falls. Ask exercise leaders and physical therapists to speak with residents and patients about supportive devices and fall prevention. Create games that offer facts and tips for fall prevention. Together, we can assist our communities in preventing falls and injuries among older adults. Get social with us and spread the word about Fall Prevention Awareness Week on Facebook, Twitter and LinkedIn!